Visit THE WHISPER KING tour on BookBear! There is a monster sleeping deep inside of you, and The Whisper King is coming to wake it up…and rip it out! 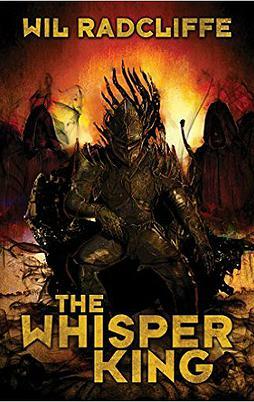 An original and dark consideration of every child’s deepest fears, THE WHISPER KING is the story of a young boy plunged into the shadows and trained to become the ultimate weapon against humanity; a monster. Incredibly exciting and fast-paced, the unique style grabbed my attention from the first page and kept me hooked until the last. The world of The Whisper King’s army is vivid and hellish. Wil’s rich style captures the background in full detail and grounds the characters in an environment that fits them perfectly. The origins of David’s new home are kept under wraps, but with a hint of mythology towards the end of the book I’m excited to see where the world building will go in future books. The narrative of THE WHISPER KING is extremely fast paced and punchy, cutting to the significant moments in David’s life as both human and monster. David has a fantastic, raw voice that definitely doesn’t pull its punches – if you’re a fan of violence, cussing and straight-talking characters then this is absolutely the next Dark Fantasy read for you. His tone is almost conspiratorial; I can picture him telling his story in hushed tones in the corner of a darkened room. The reader quickly becomes his ally and partner in crime. Occasionally the jumps between events meant I missed out several years of David’s instruction on battle, culture and education, and I would have enjoyed reading more of his personal journey as he trained to gain his Cuthach. Nevertheless, we come to understand David’s crude sense of humour and his origins very quickly. David is a truthful character with such honest and uncompromising imperfections. He knows that he’s too impatient, risky and that his temper boils close to his surface, but we see his personality gradually grow to become much more measured, analytical and mature throughout the story. His inner circle is tight-knit and fiercely protective of one another, and it’s easy to see why they have gravitated to David. I would have loved to have seen more closely into each of their backgrounds before being kidnapped by the shadows, as it gives a real 3D sense of character. In all, I thoroughly enjoyed following David through the shadows into the Whisper King’s kingdom. A fiery story with an equally explosive finale, I grew quite fond of David’s group of monsters and am definitely looking forward to finding out what’s next for each one. I received THE WHISPER KING from BookBear in exchange for an honest review. My reviews always represent my own opinion. Last night I had about as much fun as you can have at a publishing event without taking your clothes off (although I did see some suspect tweets about imagining the audience naked). BookMachine, sponsored by Unite, hosted a huge birthday bash to celebrate five years of events in the publishing industry. With a thought-provoking and engaging talk from George Walkley, we cast our minds forward to contemplate what the next five years could hold in such a fluid and adaptive industry. Taking inspiration from the infamous Donald Rumsfeld quote, George explored some of our industry knowns and unknowns in 2020. He suggested that we can be confident that, while consumption patterns may change, our basic human desires will not; entertainment and education are still going to be the driving force behind the industry for many years to come. He argued that not only is there a place for publishing in 2020, there’s a place for publishing in 2120 too – just not in the capacity we know it today. While we cannot truly predict the consumer preferences of the future, we can certainly prepare for the continued growth of digital – technology definitely isn’t going away. Innovation is a long term process that has to be constantly moving forwards in order to be successful but at the moment publishing is too short term, only peaking round the corner of the next season. Foreseeing a broadly mixed economy of print and ebooks in 2020, George also commented that self-publishing has become a complete unknown due to the huge gap in the figures. After George’s session, I was lucky enough to have the opportunity to interview publishers and other industry professionals, discussing their vision of the future and broadcasting a live steam on Periscope. It was such a fun experience that allowed me not only to meet some wonderful people, but also engage in lots of interesting and insightful conversations. The general consensus? 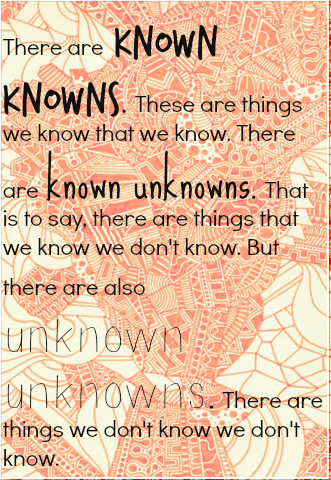 It’s impossible to know. Many people shared their hopes and wishes for the future of our industry and others simply just couldn’t say. The interviews are still available on Periscope (@fireflyreads) if you’d like to catch up! As for me, my vision of the future is an enormous increase in the diversity of the literature we commission, produce and publish. As a YA and fantasy reader, I’ve seen a number of campaigns spring up over the years in support of diversity and I can only hope that their small successes can translate into big wins by 2020. This isn’t just a problem in the publishing industry, however, and I feel that as society as a whole becomes more aware of the injustice this lack of diversity brings, we will begin to rectify it in more constructive and positive ways. In any case, the landscape of publishing will certainly look very different in 2020. We may not be able to gaze into a crystal ball and see exactly what’s coming, but making our future bright begins with the choices we make today, tomorrow, next week and next month. I had a wonderful time at the BookMachine event and loved making so many new connections. It was great to meet even more of my MA Publishing cohort too! 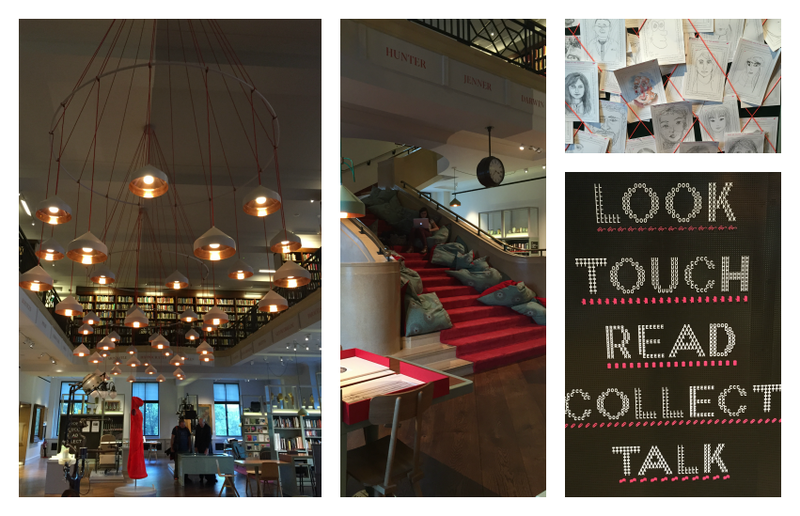 Let me know if you’ll be attending the next BookMachine/Unite event on 27th October – I’d love to meet you there! Set in a Pagan Britain yet to experience the rough hand of Roman rule, Ailia’s story is one of magic, politics and becoming more than you ever dared to dream was possible. Born in body but not in soul, Ailia is skinless. Without a totem animal to guide and protect her spirit she is forbidden to take part in the ceremonies that bring her people together and form the structure of their lives. She has found herself in a privileged position in the Tribesqueen’s kitchen, but it comes at the cost of never being permitted to learn, to marry and never knowing who she truly is. With her peaceful village on the cusp of a brutal Roman invasion, she must quickly learn to find the courage and conviction to rise to the role the Mothers have destined for her. SKIN is a collision of all things perfect. Ilka’s language is like music, deftly weaving reality and the impossible into one beautiful world. The dialogue feels true to the era yet natural and playful, simultaneously elevated and understandable. Every moment is cinematic, real, alive with colour, texture and sound – from the kitchen to the Mother’s abstract realm, Ailia travels through vivid and fascinating scenes. I could read this book over and over and never grow tired of Ilka’s absorbing prose. The mixture of history to fantasy is in flawless proportions. I usually shy away from historical fantasy as the courts and queens and servants can be stale and boring, but SKIN takes place in a relatively unexplored era with an original and fresh setting. The research poured into the novel is evident on each page, creating a believable and strongly rooted world. The overall plot is fairly simple – the threat of Rome hangs directly over the villages head and the people must decide whether to stand their ground or submit to the sheer force of the Roman army. It means sacrificing their deeply set pagan ways and denouncing the Mothers, but it also means staying alive. Ailia is obviously key to this decision in some way, being our protagonist, but there is a sense of reason in her significance and a massive risk in trusting her importance. There are several side plots which add extra flavour and excitement to the mix – Ailia’s romance with Taliesin is a thing of beauty and her journey as a character and a woman is developed with just the right pace. I often complain about romance in YA and fantasy novels but Ilka has absolutely hit the nail on the head in SKIN. Ailia is both confident and vulnerable, inexperienced yet mature while Taliesin is alluring and frustratingly mysterious, creating a sensuous and intricate relationship between the two. I savoured the final chapters of SKIN as I just didn’t want that first read-through experience to end. While it would stand as a convincing standalone with the completion of a full story arc, I am absolutely thrilled that a sequel is already in motion. 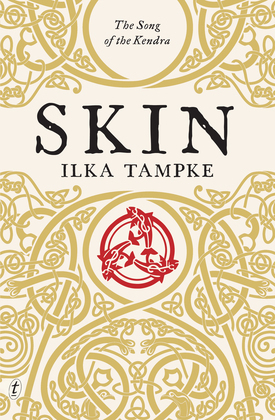 A sprawling fantasy series could easily spring from SKIN, in any case, I hope to read much much more from Ilka Tampke. Aza Ray has been drowning in thin air since she was one year old, kept alive on experimental drugs and countless trips to the hospital. Her condition is so rare that it’s been named after her – she’s the only one to ever be diagnosed. When she begins to hallucinate giant ships in the sky and hundreds of birds following her a few days before her 16th birthday everyone puts it down to her medication, and then she disappears. MAGONIA is an exciting story that bridges the gap between young adult contemporary and fantasy. Whisked up into the sky, Aza discovers a fascinating new world of flying ships, pirates and magic. She can breathe, she can sing, but she can never return home to Earth. The story alternates between Aza’s new life in Magonia and her best friend, Jason, desperately trying to find a way back to her. I have to give credit here for an exceptionally original and exciting plot. 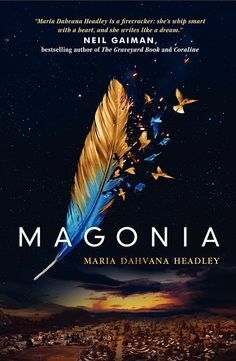 Magonia is a brilliantly unique world of mythology, politics and magic, somehow feeling possible and fairytale all at the same time. Based on 8th century folklore, Aza’s new world brings to life the original UFO story, anchors falling from the sky, sailors drowning in the air and crops mysteriously disappearing. The plot of MAGONIA was something entirely fresh and ever-changing, fast paced with an explosive conclusion. Whilst we don’t get to experience much of the physical world of Magonia, limited mostly to the ship Aza joins, the culture she experiences whilst aboard is rich and well thought-out. There are norms unique to the pirates of the ship and certain rites and rituals that must be respected. Aza must learn to earn her position rather than strut straight to the top – she might be a bit of a special snowflake but she’s got to work first. I got on well with Maria’s writing style and thought her occasional poetic touches were perfect – words falling down the page in shapes and spirals, using empty brackets to show the words that best remain unspoken. The relationship between Aza and Jason was well crafted and felt quite realistic, but the inclusion of a love triangle irritated me. I feel like a lot of YA novels feel the need to add some kind of love complication as an attempt at a side-plot, when in reality it just ruins the story more often than not. Well done romance is certainly a welcome addition to a story – Aza and Jason were definitely headed in the right direction – but throwing in a second love interest often just doesn’t fit with the personality and direction of the protagonist. Aza is loyal, thick-skinned, sarcastic and biting, and Jason has tried for 10 years to make her go weak at the knees. I just don’t see this Romeo and Juliet kind of relationship with another guy even crossing her mind. I completely appreciate the parallels Maria was trying to draw here with Aza’s loyalties now split between two completely different worlds, but her jellylegs for someone she just met seemed disingenuous to her true character. Whilst overall I really enjoyed MAGONIA, there was a little something lacking that I just couldn’t quite put my finger on. It niggled at me the whole way through and I wasn’t sure whether it was in the storytelling, the characters or something else entirely. This little something bothered me and I wish I could have let it go to fully immerse myself in the story. Regardless, I’m definitely interested to see how Aza’s story pans out in the planned sequel as I’m expecting some serious repercussions and drama based on the final chapters of MAGONIA. A completely original story with an exciting plot, I’m absolutely looking forward to reading more from Maria Dahvana Headley. Yesterday I was lucky enough to be able to attend the New Trends in Publishing Seminar, hosted by BIC and sponsored by Nielsen and Ricoh. I don’t start my Publishing course until the end of this month but since I’m now finally in London, home of publishing events, I thought I should get started early! The event was held in the absolutely beautiful Stationers’ Hall (I wish I’d taken some photos of the inside) with stunning stained glass windows and wide open rooms filled with dark wood furniture. There were six us of there from UCL and Alaina-Marie made us feel so welcome and included – publishing really is the best industry. The seminar consisted of five talks, with the obligatory coffee break half way through: 5 Top Trends for Trade Publishers (Jane Tappuni and Chris McCrudden), The Digital Print Revolution (Mike Levaggi), Publishing as a Service (Alison Jones), Building Better Brands with Neuroscience (Andre Breedt) and finally New EU White Paper – Single European Digital Market (Susie Winter). The Trends for Trade Publishers was definitely my favourite segment of the seminar, discussing the rise of fandoms, fanfic and how publishing can learn from this highly social way of reading. Sites like Wattpad allow for high levels of personal interactivity with the story, keeping its audience engaged with the whole experience from conception to publication. The speed to market is something we can also learn a lot from, as the author is able to instantly share their work and receive feedback. Impatient online audiences simultaneously love the anticipation of serialised stories but will lose attention if they have to wait too long. In traditional publishing, it could be 12-18+ months between novels, but online it can be anywhere from a few hours to a few days. I also really enjoyed the contemplation of eBook subscription services such as Scribd. We were significantly behind other industries in the conception of these services (think Netflix and Spotify but for books) but that does mean we have the opportunity to learn from their mistakes. While Scribd seems to be growing in popularity, Jane and Chris considered if it was potentially attracting the ‘wrong’ kind of customers – ones that go through a mountain of content and end up eventually costing the company money in the long run. It was interesting to hear the business side of this situation, as it’s very easy just to think about the service as a user. I’ll definitely be more aware in future of how much content I’m using – hopefully services like Scribd will be able to fix these teething problems sooner rather than later. The neuroscience talk with Andre was insanely interesting. He spoke about an alternative option to traditional consumer insight tactics, as these methods assume that the participants can accurately comprehend, access and articulate their thoughts and feelings – we can all be unreliable when self-reporting all sorts of situations from how much we drink to our favourite books depending on how we assume other people will judge us. Andre explained how neuroscience can access the instinctual, fast, emotional thinking that proves valuable in narrowing down how resonant an image or advert (for example) truly is. Learning about digital printing and the EU Digital Single Market was really interesting – as a publishing newbie it’s always great to hear about current affairs direct from the people who know these issues inside out. It can be a little unnerving to hear how difficult it is to be in the industry at the moment, but I’m excited to try innovate new trends and help push publishing forward as the world becomes increasingly reliant on digital. I really enjoyed this event and just wanted to say thank you to Alaina-Marie at BIC for the opportunity and to all the speakers for bringing such interesting and thought-provoking ideas. 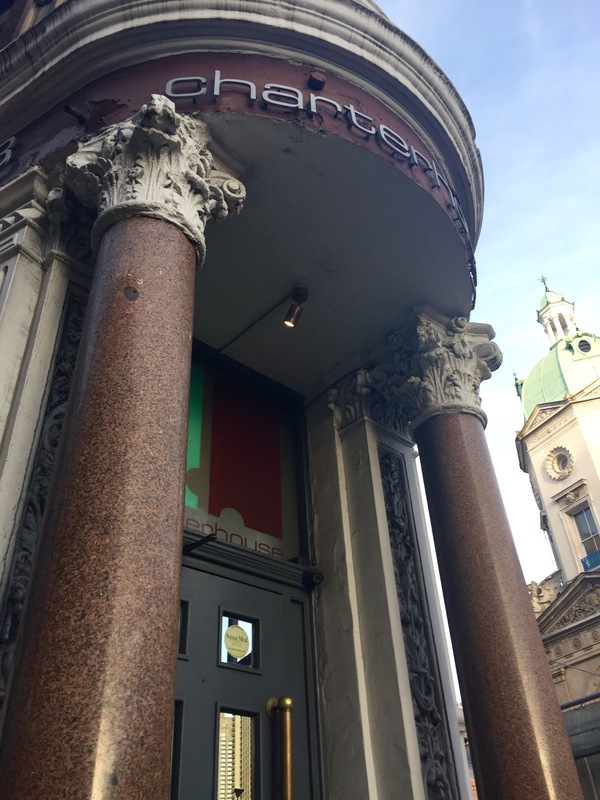 I’m so excited to finally get started with my course at UCL now that I’ve had a taste of the London publishing scene – the countdown to Induction Week begins! Mermaid-turned-human, Lorali washes up on an English beach. Found by a sweet natured boy and hunted by everyone, can they survive the storm? I picked up LORALI expecting it to be a harmless summer read to pass the time, not sure on whether I would actually enjoy it. The tagline doesn’t inspire much confidence (“An extraordinary mermaid in an ordinary town”) but I thought I’d give it a chance. Needless to say, it completely blew my expectations out of the water. In the grim seaside town of Hastings, young Rory celebrates his birthday the way he always has. Standing out to sea with a bag of chips, wondering if this year his dad might remember a card or even make an appearance, and planning his evening trying to get served in the local. Lorali is a princess that has always been unusually fascinated by the world above. When her Resolution, a mermaid rite of passage, doesn’t turn out as she’d hoped, she decides to seek solace in the human world. Washing up on the shore, alone, afraid and suddenly with legs, she soon discovers both the kindness and horrors of the human nature. Punchy, exciting and gripping, LORALI is fantastically original and told with a melodic style. I would say that it’s only very loosely based on The Little Mermaid, definitely not a straightforward retelling. The plot is full of surprises and I don’t want to give too much away with my review; it definitely kept me on my toes. Splitting the narrative into three perspectives (plus the occasional newspaper clipping and blog post) kept the story moving, flowing quickly from chapter to chapter. Rory’s voice is incredibly fresh and real, portraying the true nature of a 16 year old stuck in a dead town. I was surprised at how funny he was and how realistic his words and actions were – it’s been a long time since I’ve really believed in a character in this way. He could very easily walk off the page and straight into any high school in Britain without anyone so much as raising an eyebrow. Lorali is just as wonderfully complex, her background and motives are dripped throughout the story to draw you in and fascinate you. She brings with her the mystery of the mermaid culture and the wonder of learning a new one. Her early moments are bright and funny, and when her true personality begins to be unearthed we find she’s feisty, brave but still quite vulnerable. The Sea as a narrator was an absolutely brilliant choice. Able to give insights on the goings-on both below and above, The Sea became the wise and sassy omnipotent perspective, although that doesn’t make her any more reliable. Tripping the reader up in her own quirky voice, The Sea drops the hints and lets the reader do the work. The mermaid kingdom is vivid and imaginative, full of fun little details. Laura has given the merpeople their own heritage, culture and secrets with side characters that are much more than just backdrop. The Sea takes care to fully introduce our pirates and people, meaning every character feels valuable to the story. I feel like the ending is set up for a sequel, but honestly I would be happy to leave the world how it is. There’s the hint of what’s to come in the future and I would prefer to just connect the dots myself. The conclusion is exciting and vicious, with a good measure of hope thrown in at the end. 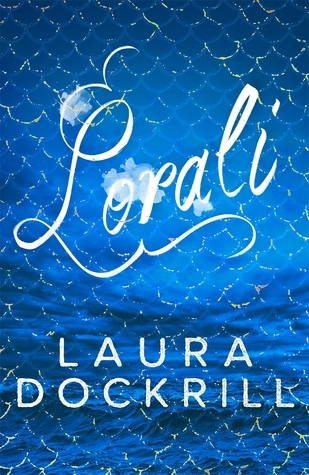 All in all, I was pleasantly surprised with LORALI and would absolutely recommend it to lovers of YA contemporary and fantasy alike. With elements of romance, action, adventure and mystery, it’s not only a tale of finding yourself but also learning what’s important and what to let go.